A restaurant, an indoor pool, and a fitness center are available at this hotel. Free WiFi in public areas and a free airport shuttle are also provided. Additionally, a bar/lounge, a coffee shop/café, and a spa tub are onsite. All 277 rooms provide conveniences like refrigerators and coffee makers, plus 24-hour room service and LCD TVs with cable channels. WiFi, minibars, and hair dryers are among the other amenities available to guests. 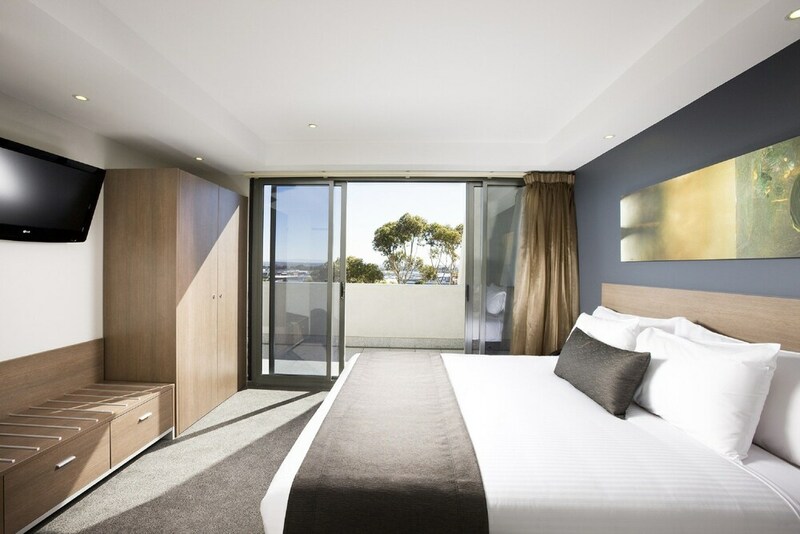 In addition to an indoor pool, Mantra Tullamarine provides a spa tub, a sauna, and a fitness center. The hotel offers a restaurant and a coffee shop/café. A bar/lounge is on site where guests can unwind with a drink. A computer station is located on site and wireless Internet access is complimentary. Business-related amenities at this 4.5-star property consist of a 24-hour business center and limo/town car service. Event facilities measuring 4304 square feet (400 square meters) include a conference center. This family-friendly hotel also offers multilingual staff, concierge services, and complimentary newspapers in the lobby. A roundtrip airport shuttle is complimentary to guests (available 24 hours). Parking is available onsite for a surcharge. Mantra Tullamarine has designated areas for smoking. Buffet breakfasts are available for a surcharge between 6 AM and 10 AM. Woodlands Restaurant - Overlooking the garden, this restaurant specializes in local cuisine and serves breakfast, lunch, and dinner. Guests can order drinks at the bar and enjoy alfresco dining (weather permitting). This property offers transfers from the airport. Guests must contact the property with arrival details 72 hours prior to arrival, using the contact information on the booking confirmation. The property has connecting/adjoining rooms, which are subject to availability and can be requested by contacting the property using the number on the booking confirmation.